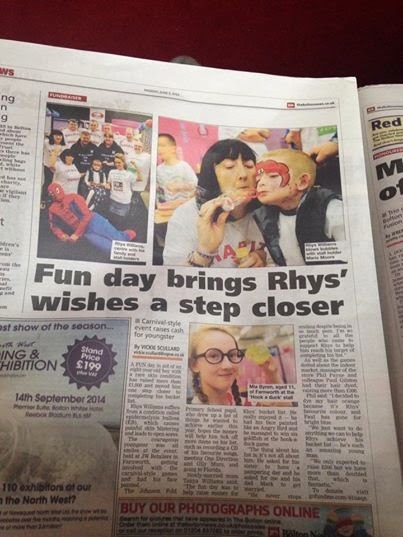 Jonathan and the guys at JW Retailers put on a great charity fun day and raised over a £1000 pounds to help Rhys Williams an eight-year-old boy with a rare skin condition. You can read more about it here in the local rag 'The Bolton Evening News'. We add our congratulations for a job well done, it is hard work raising money for charity in these austere times; and we must also thank the 'BEN' for covering it. Can you vote and help us get funding? Thanks!